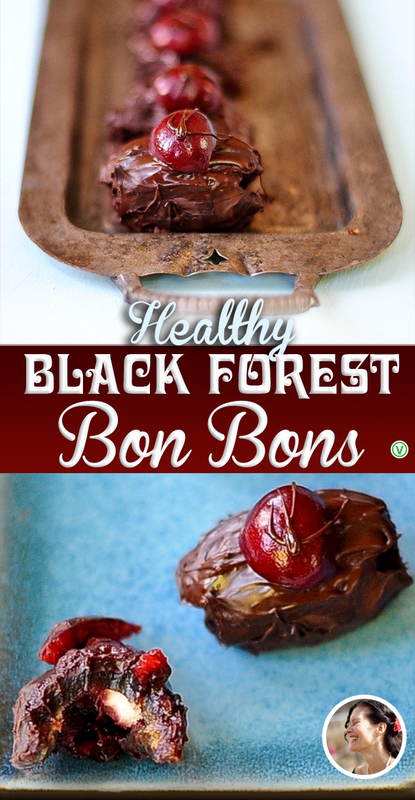 My husband opened his mouth to take a bite of the Black Forest bon bon I had just handed him. I heard him moan and looked up to see him licking the last bit of melting chocolate off his fingers. He looked hungrily at the tray of bon bons in my hand. I fairly skipped away, after allowing him another bon bon. 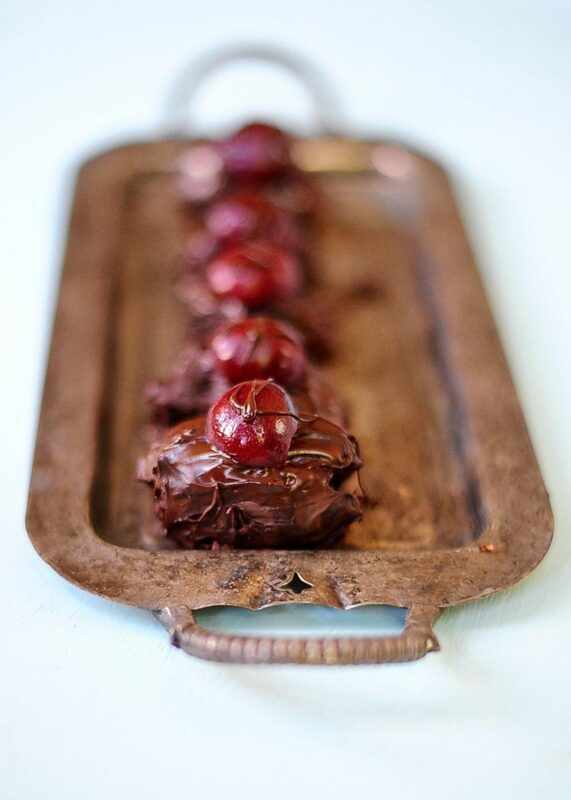 Chocolate and cherries are a match made in heaven. Between my Aunt’s house perched above the fjord and the vertiginous path down to the strand where my sister and I wasted many a summer day, there stood a small cherry tree. Each day we would pluck plump garnet cherries from the low branches, staining our fingers and bare feet a lovely shade of dusky pink. Stepping gingerly between the wasps feasting on rotting fruit we invariably forgot ourselves in the merry hunt for cherries and one of us would howl as we received a sting on our tender feet. Down the serpentine path we’d run to the cooling salt water lapping at the shore, where we’d soak our feet at the water edge and munch the fat orange rose hips we’d gathered on our race down to the shore. 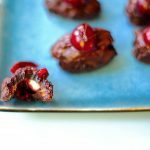 Deliciously decadent two bite bon bons bursting with fresh cherry, caramel like date, and dark chocolate flavors. An easy,scrumptious, one bowl dessert that will satisfy your sweet tooth. Pit each of your dates by slitting them open on one side with a knife and nudge the pit out with your finger. Make the hollow inside just a little bigger with your finger. Halve and pit your cherries. 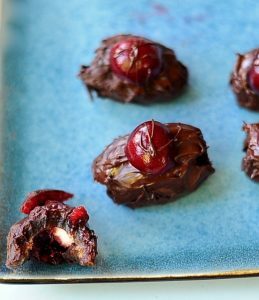 Melt the chocolate in a double boiler or in the microwave on low. Insert an almond into each date. Place one cherry half so that it is cupping the almond as if it were the cherry pit. Now close each date. You may need to mold it a bit with your hands to get it to close. 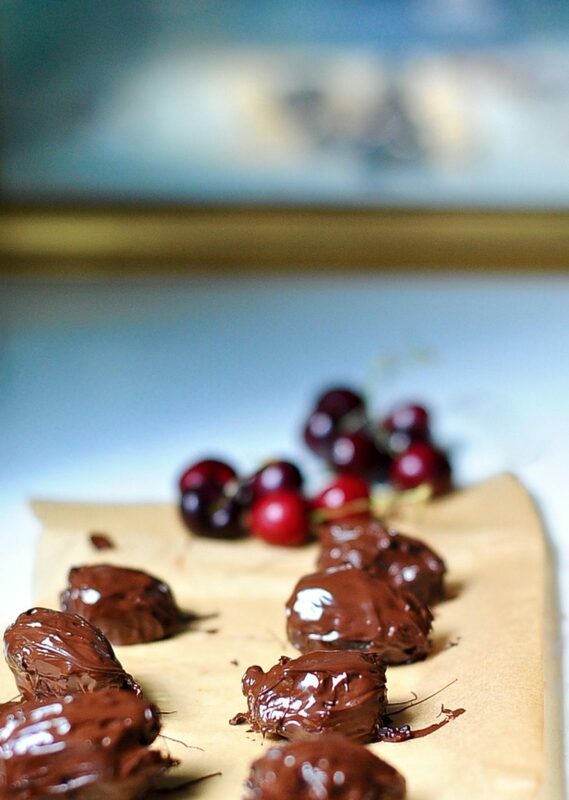 Dip each date into the melted chocolate and place on a piece of parchment to dry. I like to garnish each one with half a cherry, a drizzle of the remaining chocolate and a sprinkle of sea salt. These have never lasted more than two days in my house so I can't really say how long they will last beyond that. Lol. 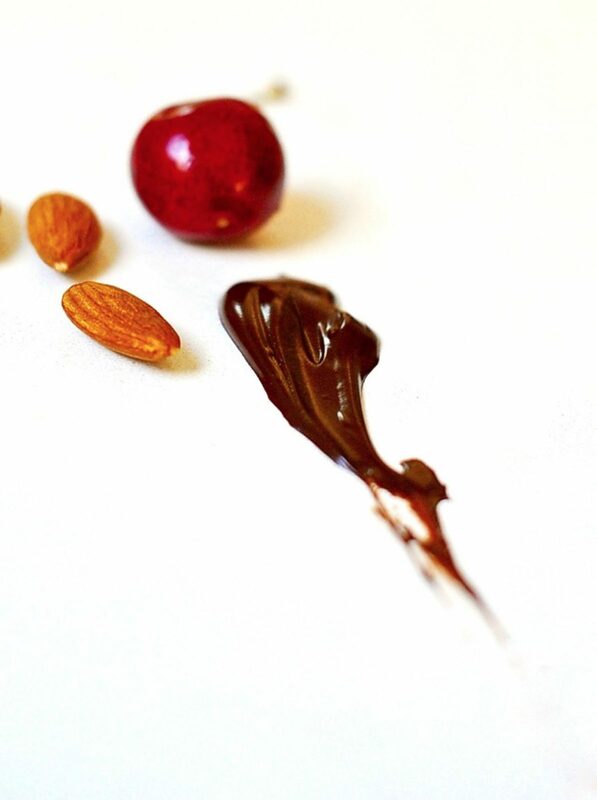 You are right – Cherry, chocolate … a magic blend – with dates. 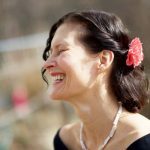 You understand the real magic that flows beneath the current of the world Mette. We are cousins in heart and genetics. 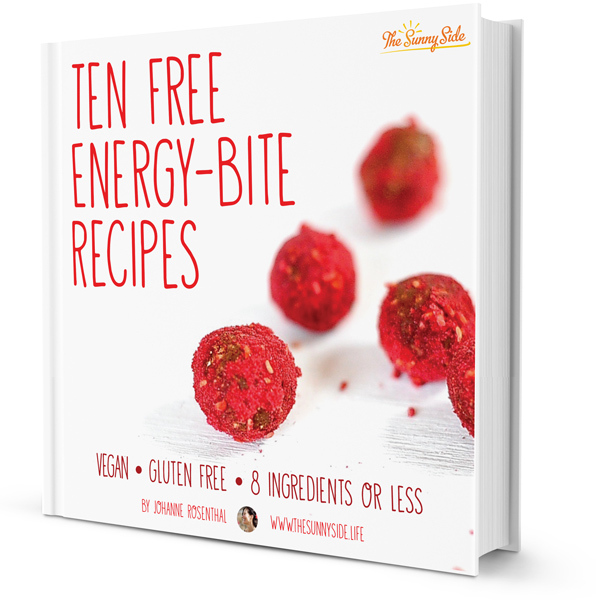 I love a recipe with fewer than half a dozen ingredients! How lucky we were to have picked our (over)fill of cherries in Denmark and figs in Greece. Your husband is a lucky man too. We were lucky in those halcyon summer days, truly barefoot and fancy free.